Prices shown are suggested retail prices in US$. The "buy" links will take you to Amazon.com, our primary distributor, who may sell at a different price. Our books may also be found at other retailers, including Amazon UK and Spain, etc. 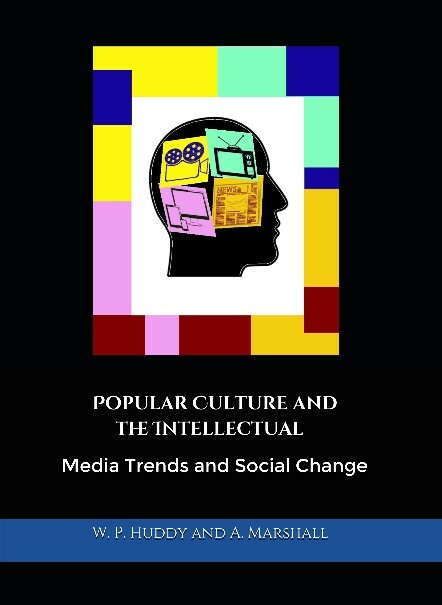 This book explores key questions about the role of intellectuals in popular culture. It also investigates the tensions and oppositions between entertainment, information, and education in films, television, news, and online productions. 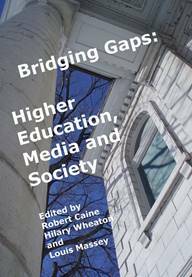 The authors of this edited volume rely on interdisciplinary approaches to bridge gaps in the often-binary debate about the value of mass-market media. They address the many transformations, both in the media industry and in society, that content producers, practitioners, critics, journalists, and scholars enable. 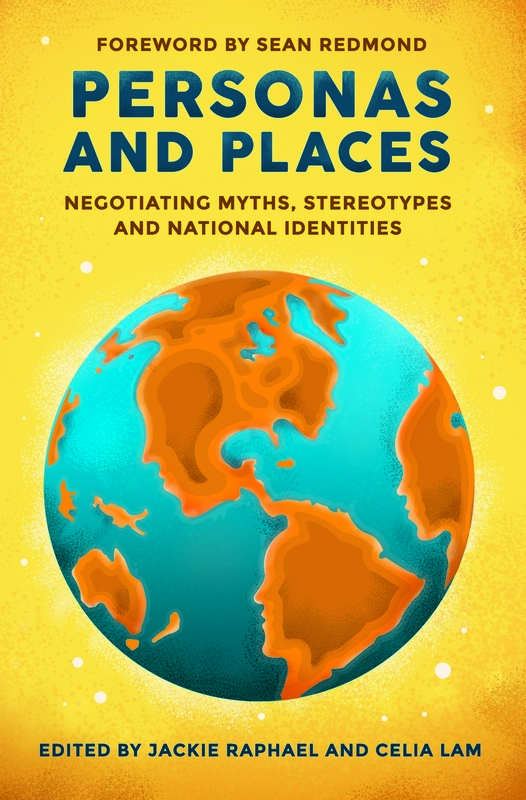 Personas and Places: Negotiating Myths, Stereotypes and National Identities explores the intersections between representations of places and people. It interrogates the methods through which national myths are constructed, and examines the limitations of national identities. The contributors to this book offer a series of fascinating case studies that take us from the migrant and settler shores of Australia to the American success myth, from the biopic of Jackie Kennedy to the dresses of Michelle Obama, and from New Zealand celebrity activism to the photographic representations of Zambia. The book presents an investigation of the ways in which public personalities both reflect and challenge national identities, and questions dominant media representations that emerge from the Global North. 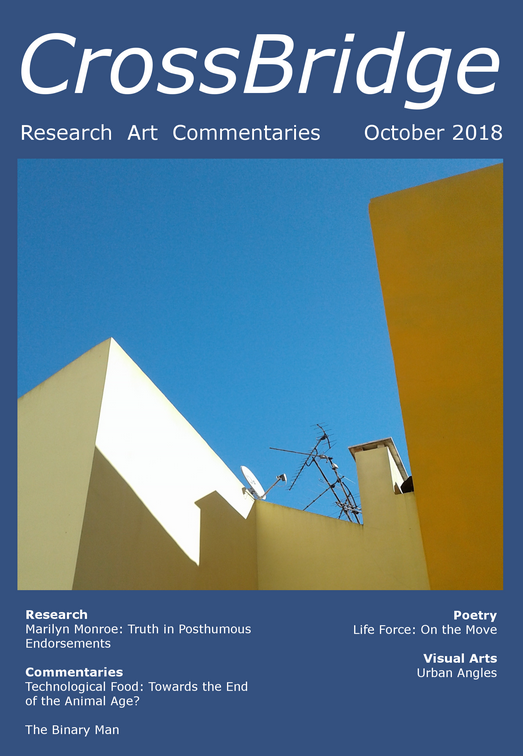 CrossBridge is a full-color multidisciplinary and thought-provoking cross-over between peer-reviewed academic journal, public affairs magazine, and visual art/literary review. The journal’s vision departs the usual solely academic focus also to include practice-based research that enables social progress. Each issue includes commentaries, research, and arts. Our authors and artists are inspirational thought leaders who bring forth provocative and actionable ideas, bridge gaps between theories and practice, and initiate personal and social transformation. This issue contains: Research by Jackie Raphael: Marilyn Monroe: Truth in Posthumous Endorsements; Photography by Luis Martin: Urban Angles; Commentary by Paula Greenwood: Technological Food: Towards the End of the Animal Age; Poetry and photography by Saul Courrier: Life Force: On the Move; and, Commentary on technology and society by Miguel Martinez: The Binary Man. This book examines the intricate interrelations between power, persona, activism, philanthropy and feminism. In particular, key questions examined by the authors are how celebrity personas are deployed; how on-and-off screen activity impacts on celebrity brand identities; and how consistent messages are conveyed. These questions are explored through case studies including global celebrities such as Angelina Jolie, George Clooney, Miley Cyrus, Emma Watson, Taylor Swift, Donald Trump, Clint Eastwood, Freddie Mercury, and Paul Newman. Additionally, national perspectives are included through exploration of Polish rock-star-turned politician Pawel Kukiz, and feminist Turkish character Driver Nebahat. Whether it is celebrities bringing attention to activism or activists gaining fame, their brand identities can make a difference. 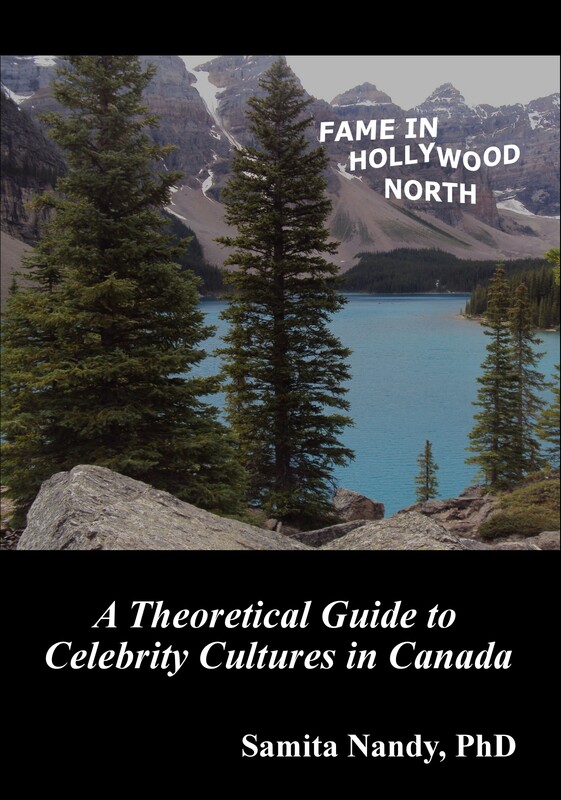 How does the Canadian nation play a role in constructing fame in Hollywood? What is the nature of celebrity cultures in Canada? This book answers these questions while shedding new light on the relationship between fame and nation. Nandy particularly debunks the popular myth that Canada does not have a star system. 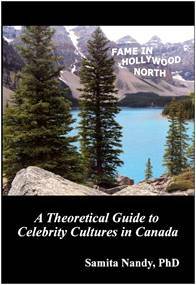 In fact, this book shows that an understanding of Hollywood celebrity culture is incomplete without the understanding of fame in Canada. 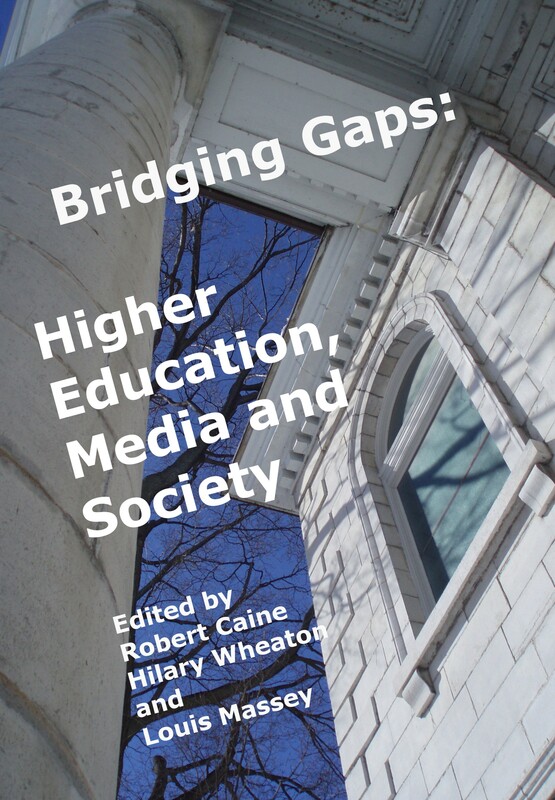 The authors of this edited volume each consider some of the issues and opportunities associated with media and education as enablers of social progress. 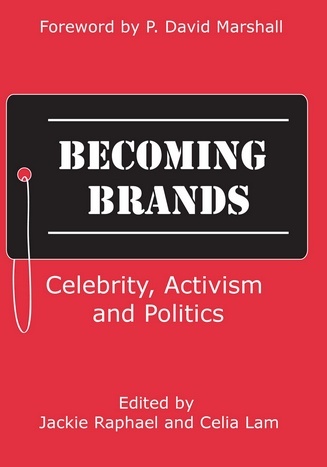 The book includes chapters on the crisis in academia and higher education, media literacy, celebrity culture, journalism, public relations, and social media among others. 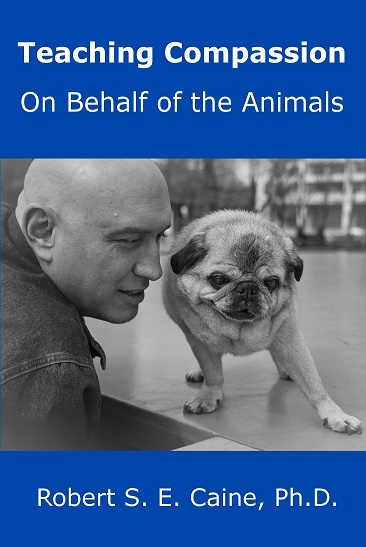 This book investigates why most people view animals as nothing more than food products or possessions. Is the exploitation of animals so ingrained within human society that we are unable to ponder the pain and suffering experienced by countless animals as well as the killing of so many innocent beings? Teaching Compassion: On Behalf of the Animals shows that compassion for our fellow earthlings can be taught through both cognitive and emotional transitions. Robert S. E. Caine's powerful words inspire us to change the way we see the world and his concrete educational proposal indicates how. 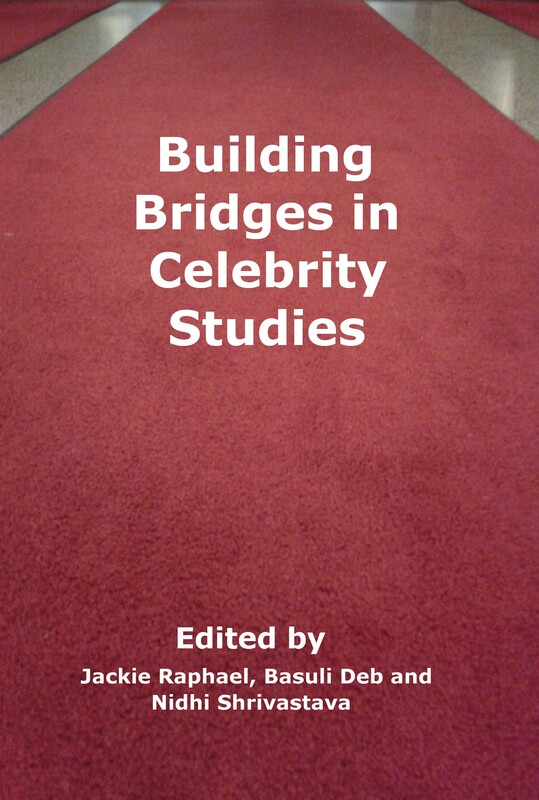 This edited book addresses the complex interplay between celebrities and media. Various themes are investigated including trend setting, consumer consumption, impact of social media, sensationalism in reporting, celebrities as a commodity, media scandal creating fame, and feminism. 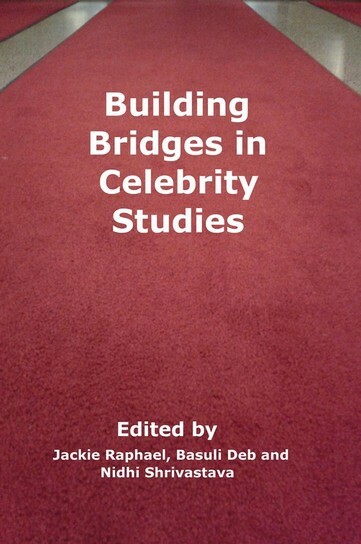 Building Bridges in Celebrity Studies invites scholars and media professionals to critically consider ethical and social justice directions where media and celebrities combine for a commitment to social transformation. Both media and celebrity culture are crucial parts of our daily lives, thus a greater understanding of how the two co-exist is essential. This book provides some key perspectives towards such understanding.